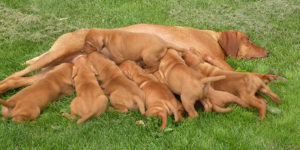 Sire: Ch.Vizslavilla’s Rhett Butler fdj. Dam:Ch.Bonneterre Stoney Dragon fdj. Navhda II. 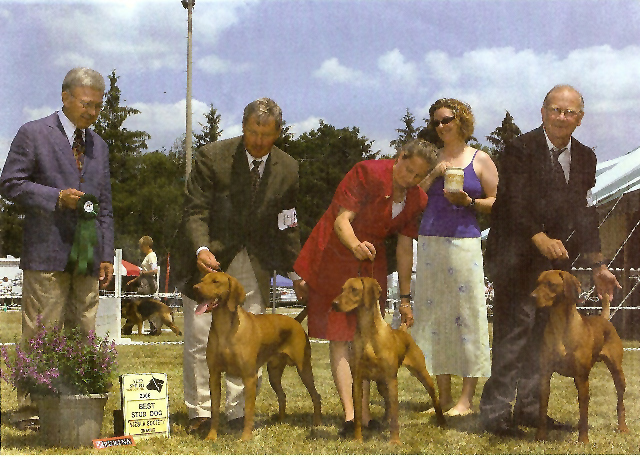 Below is a picture of BISS CH Toldin’s Own Rip Red Flyer FD, NAVHDA NA Prize I, 3 x AOM who has sired some previous litters. 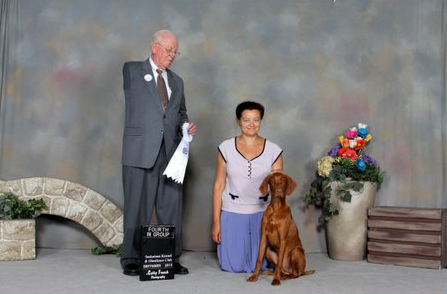 Ripper is owned by Ray Rowan of Bonneterre Kennel and was bred by Frank and Martha Lacko of Toldin Reg’d Vizslas. 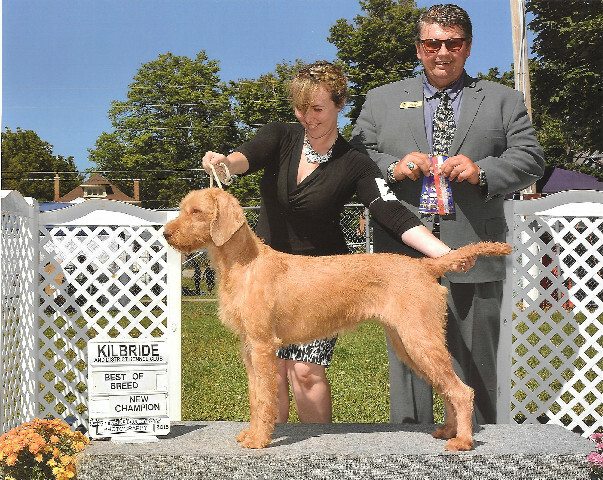 Tipsy at the Kilbride show August 10 2015.